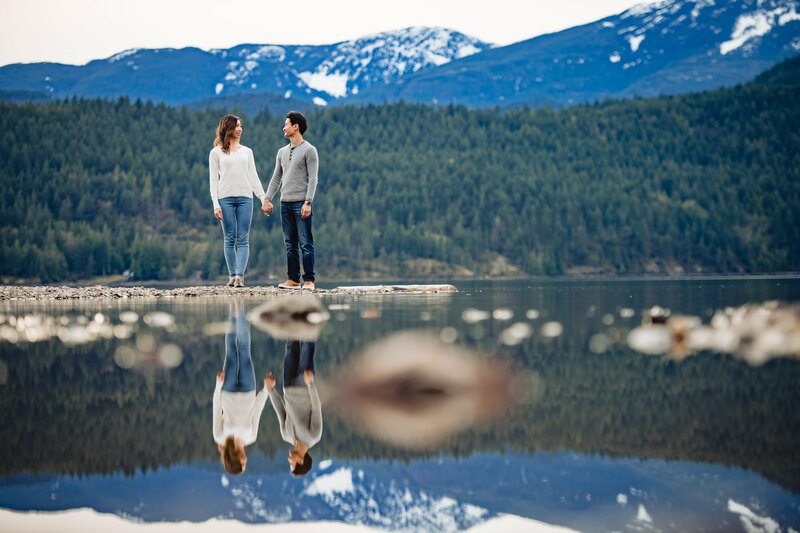 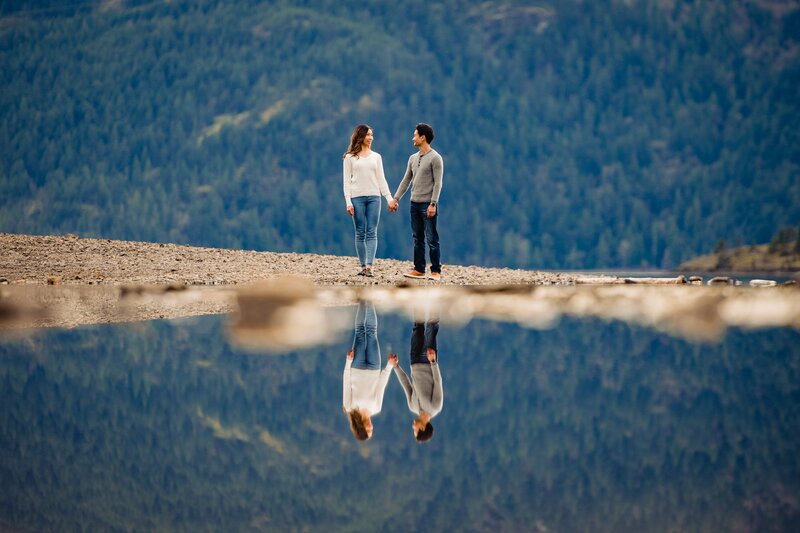 This is a first for us to photograph a Harrison Lake engagement session, and we couldn’t have been more excited! 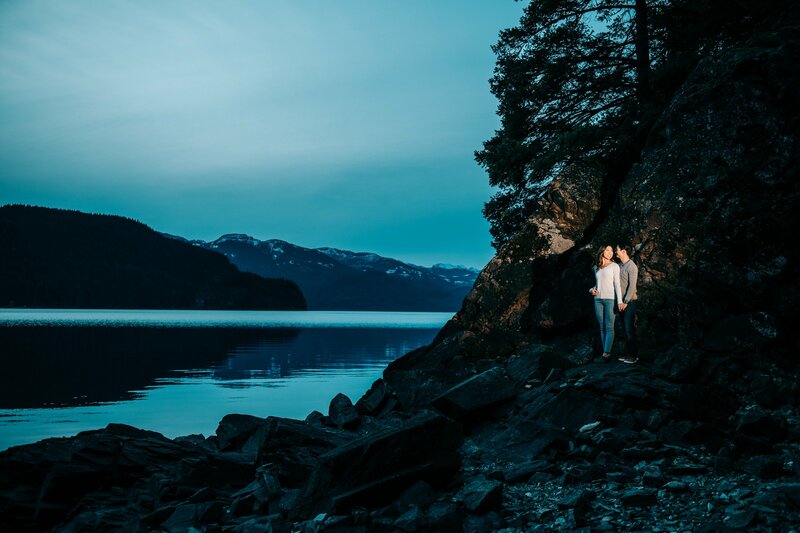 After 10 years in the business, Will and I have spent our time scouting and exploring almost every square inch up to the Fraser Valley, and now we are excited to explore new areas in the Fraser Valley and beyond. 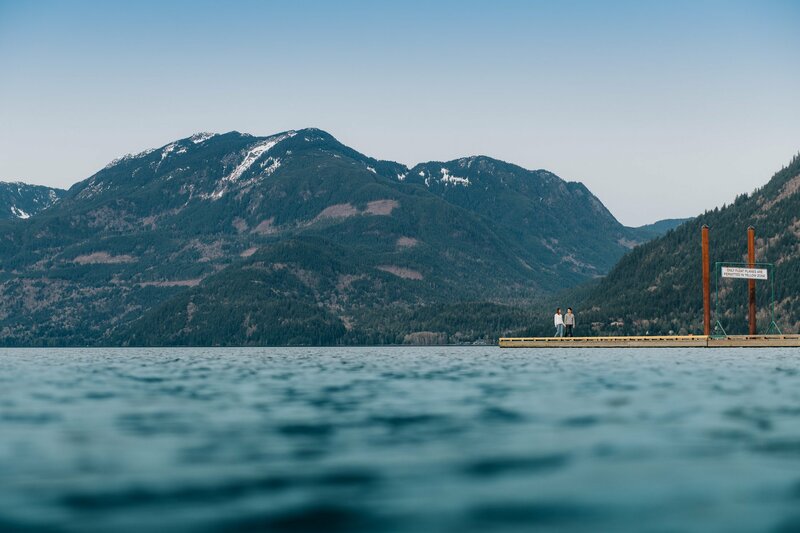 Nestled along the outer edge of the Fraser Valley is Harrison Hot Springs. 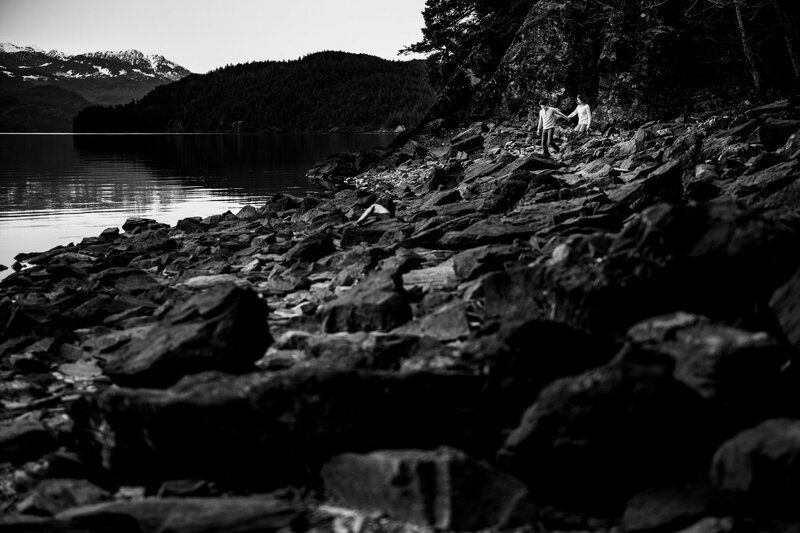 A small town surrounded by a massive Lake, huge mountains and trees as far as you can see. 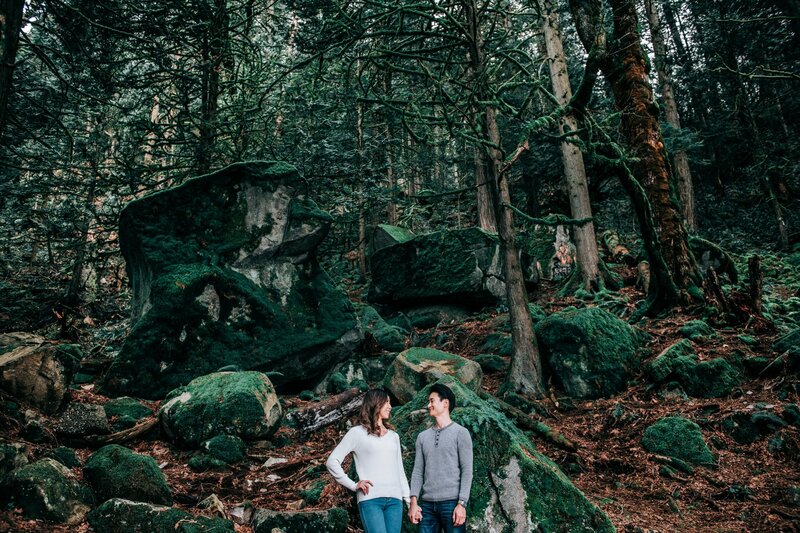 It’s a beautiful, peaceful area, and one that makes you take a deep breath and just feel relaxed. 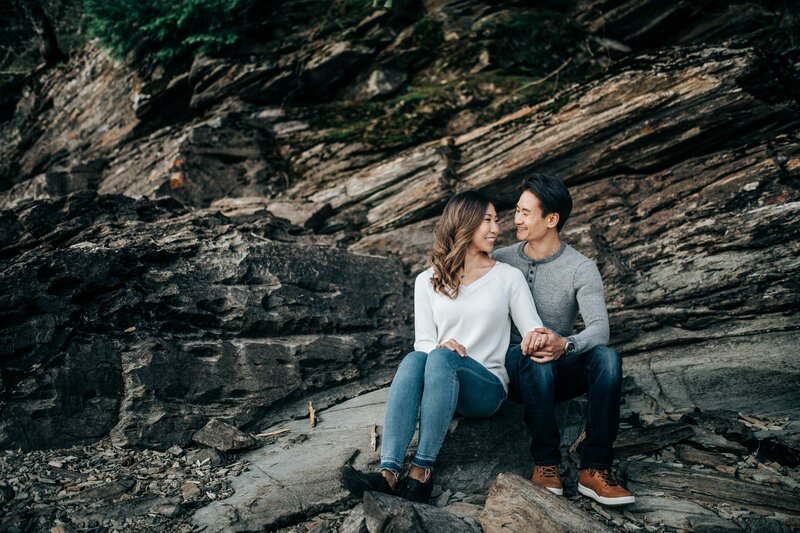 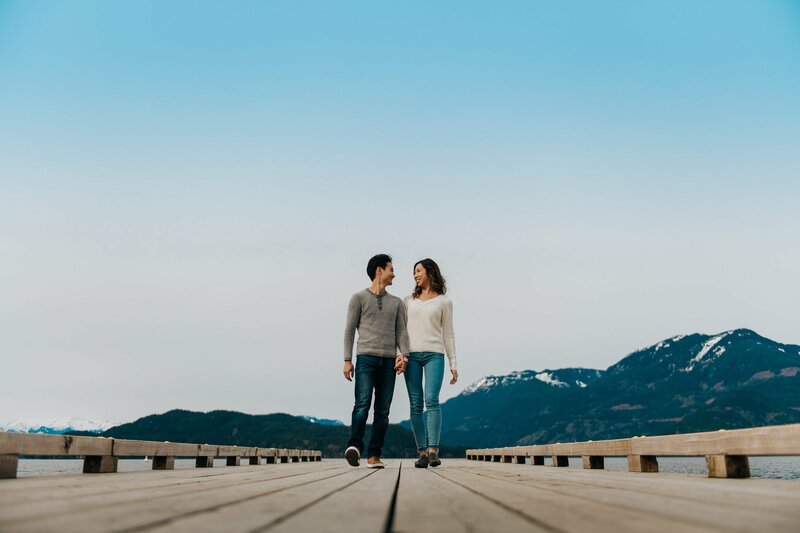 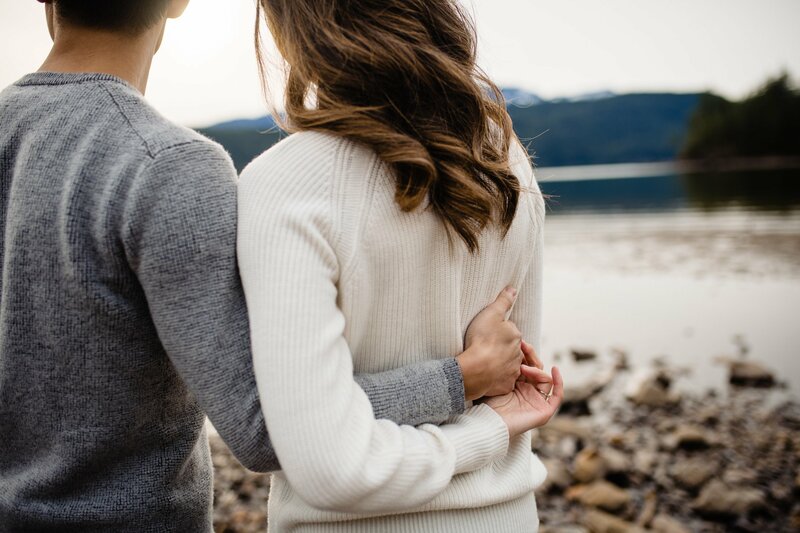 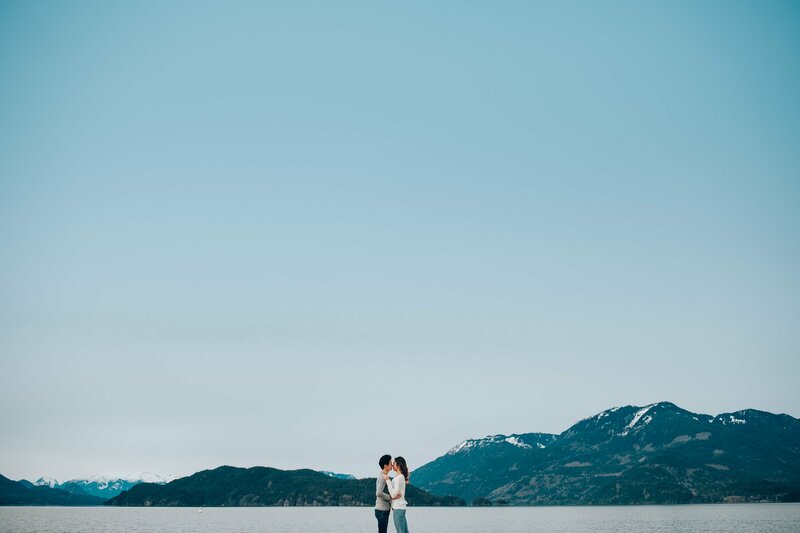 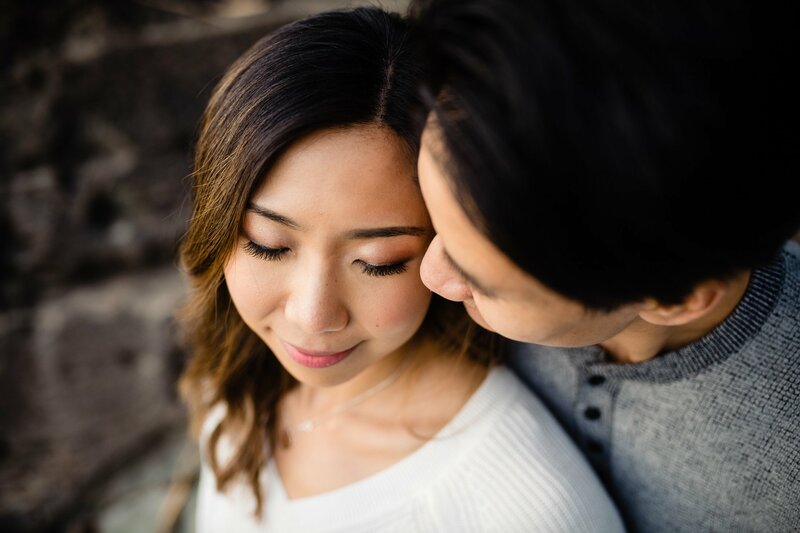 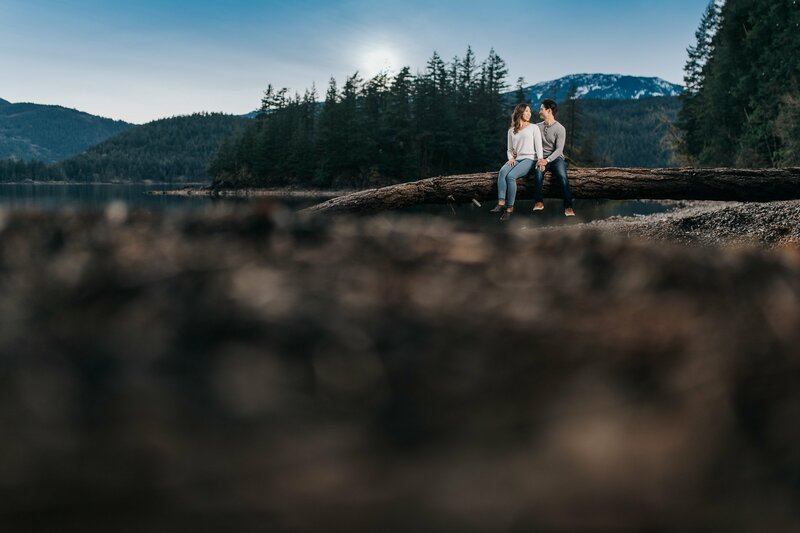 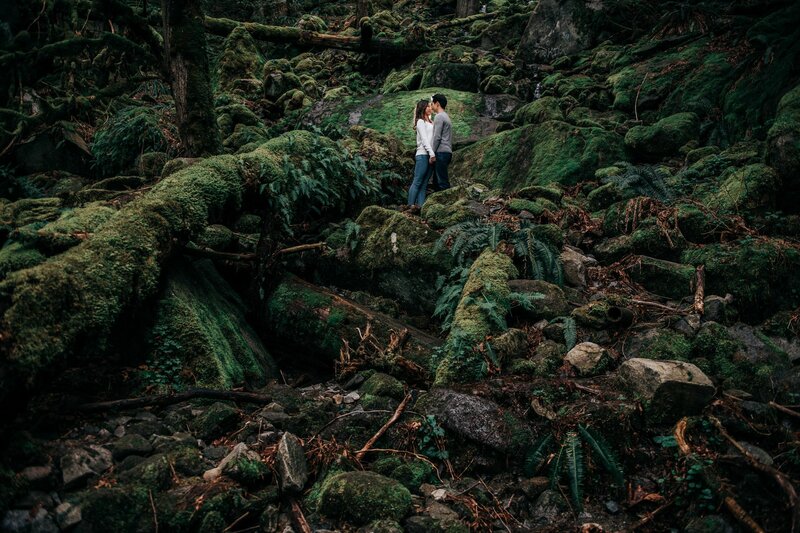 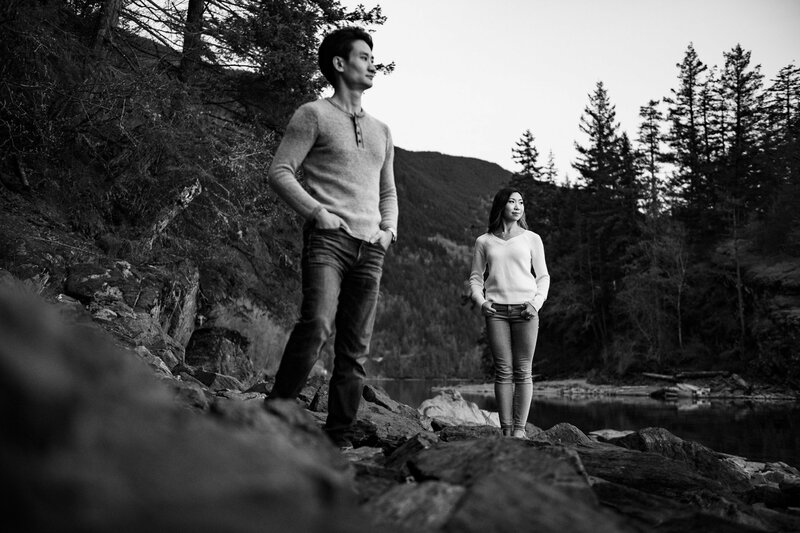 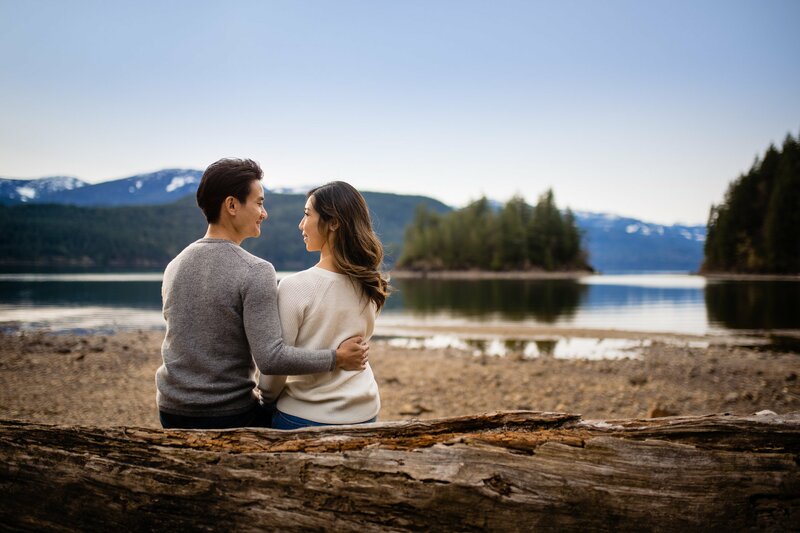 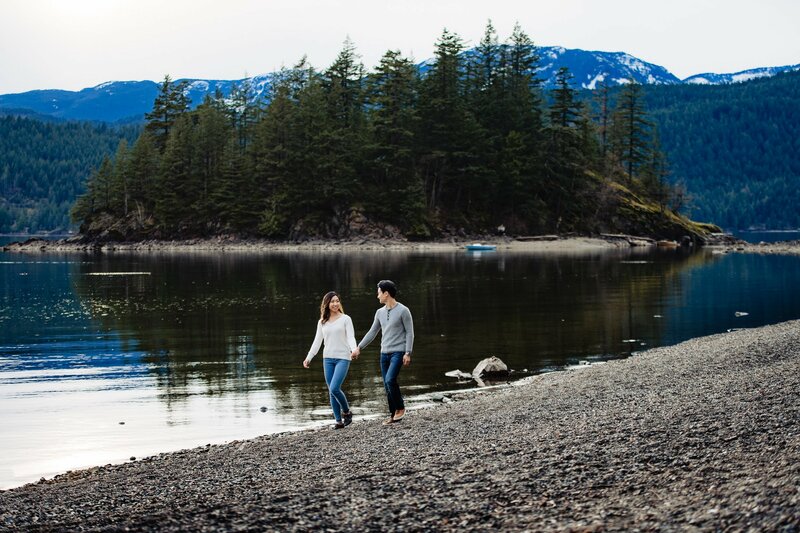 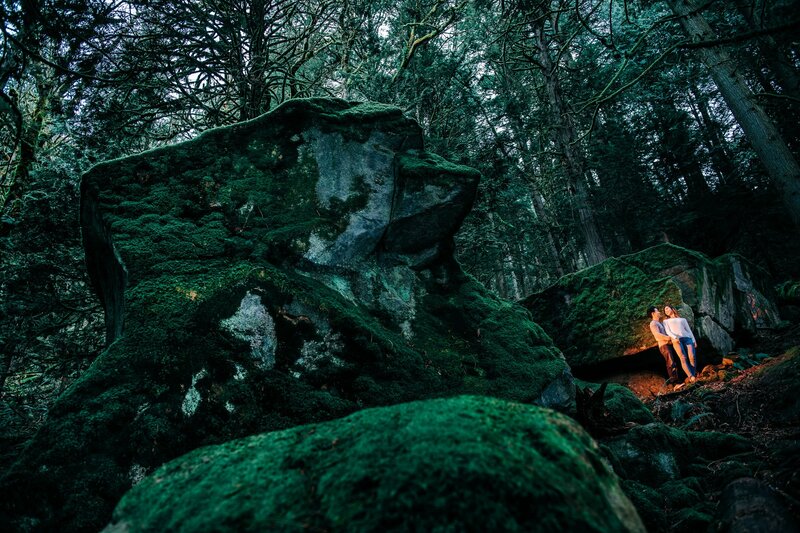 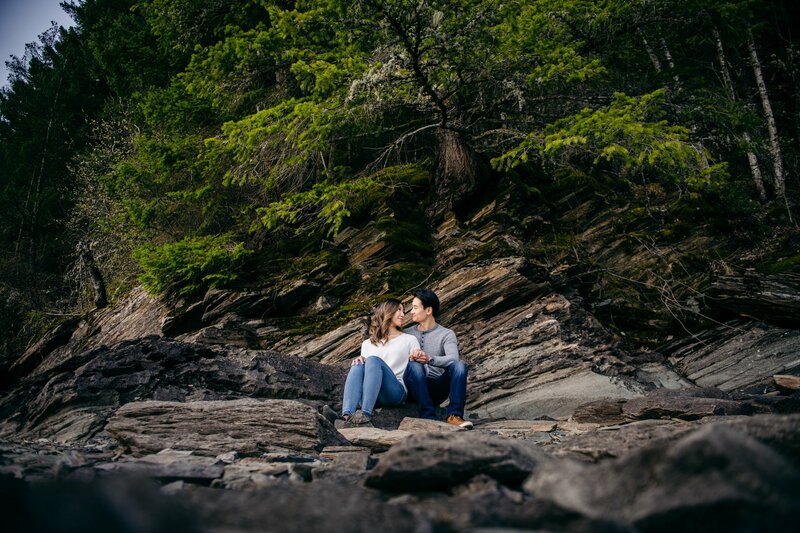 There are a couple of gems that Will and I have been exploring around this area lately, and we were dying to get at least one client out to Harrison Hot Springs for an engagement session. 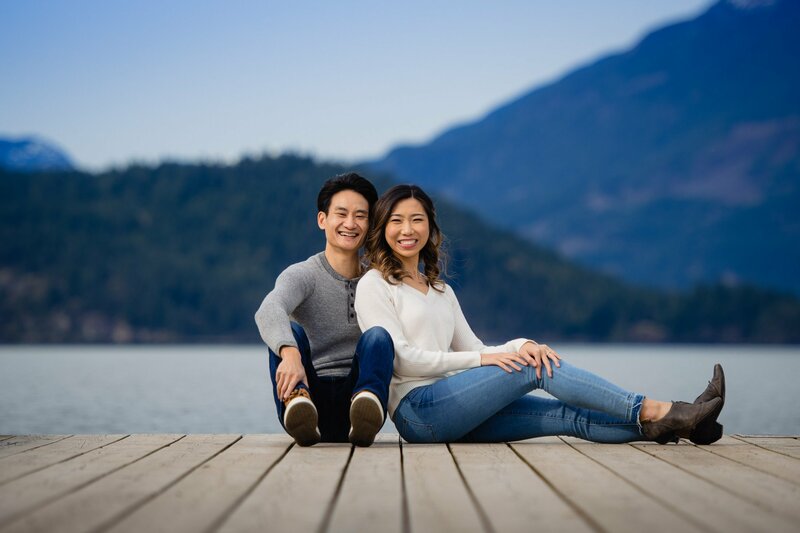 Sally and Colin were happy to come out to Harrison Lake and get their engagement photos around some of our favourite areas in the town. 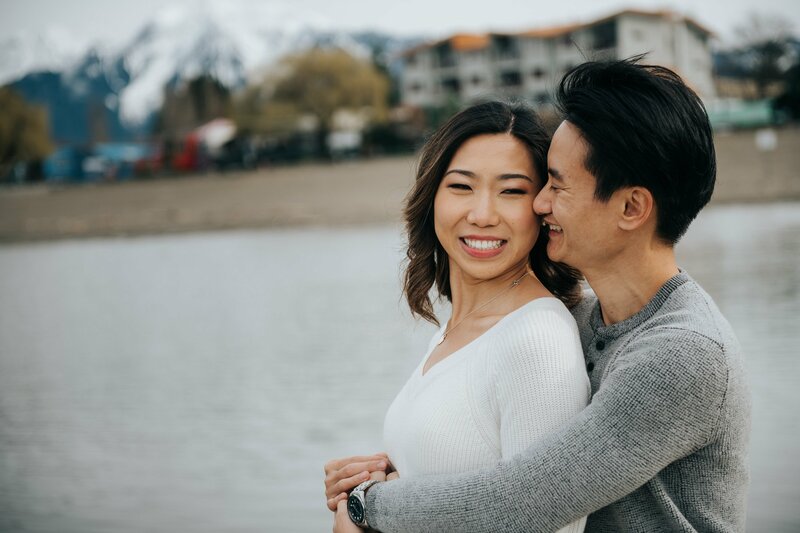 It turned into a really fun adventure session with our couple because they have never been out to Harrison Hot Springs before. 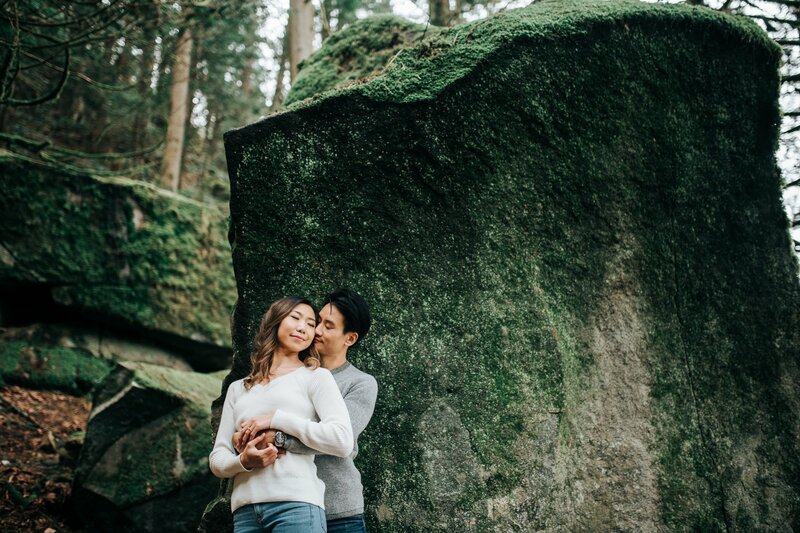 This was a totally new experience of not only getting professional photos taken of themselves, but also exploring a new location at the same time. 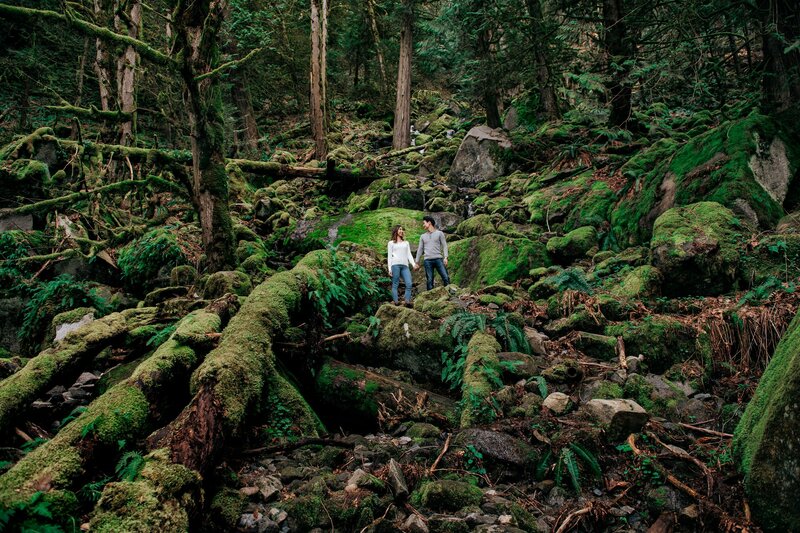 There is so much nature in Harrison Hot Springs, that it really feels like cottage country. 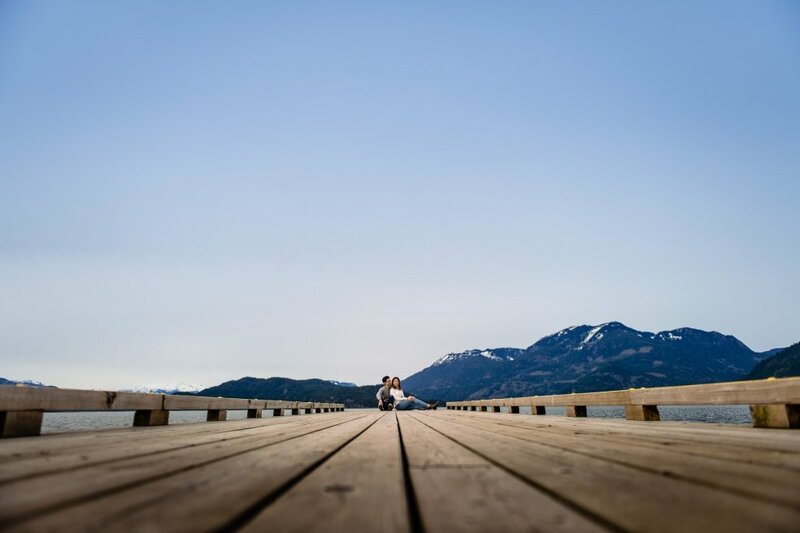 We utilized a beautiful dock overlooking epic mountains, lush green forested areas on the side of a mountain, rocky beaches, and more. 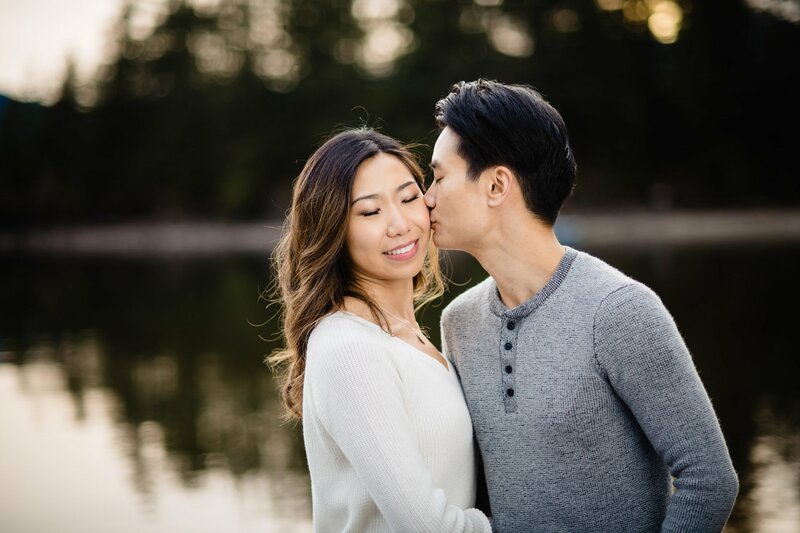 It was such a fun experience to photograph this amazing couple who was up for anything we threw their way, and we are so excited to photograph them again at their wedding later this year!